Zeboyd Games raised over $130,000 from 6,414 backers for its turn-based, sci-fi JRPG due in December 2014. Zeboyd Games announced in August that their newest title would be coming to PlayStation 4 and PlayStation Vita, but turned to Kickstarter to raise the development funds. 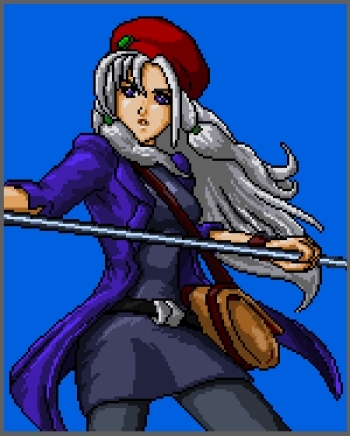 Cosmic Star Heroine is a retro, Japanese-style RPG. The game draws its inspiration from classic 1990s RPGs like Chrono Trigger and Suikoden. The story follows secret agent Alyssa L'Salle as she struggles to save the world after being revealed to her enemies by the galactic government. The Kickstarter campaign ended successfully today with $132,689 USD raised. Cosmic Star Heroine is scheduled for release in December 2014 for PC, Mac, PS4 and PS Vita. Zeboyd Games launched the Kickstarter on October 1, and reached the $100,000 funding goal on October 13. The additional $32,689 raised will go to increasing the audio budget and hiring additional help for the game. The developers were cautious about over-funding and the campaign did not feature explicit stretch goals. "We don't know about you, but we hate it when [K]ickstarters get a lot more money than they expected, drastically increase the scope of the game, and end up pushing the release date back months or even years," says Zeboyd Games. For those who missed the Kickstarter but would like to support the project, Zeboyd Games expects to have an option up on its website in the near future. Zeboyd Games' development blog provides updates and detailed development information about Cosmic Star Heroine. Zeboyd Games is the independent developer duo behind Cthulu Saves the World and Breath of Death VII, both parody RPGs available for PC. The developer also produced the final two installments in the Penny Arcade RPG series, Penny Arcade's On the Rain-Slick Precipice of Darkness 3 and Penny Arcade's On the Rain-Slick Precipice of Darkness 4.